SYDNEY — Australia fast bowler Joe Mennie has been admitted to hospital with a fractured skull and bleeding on the brain after being struck on the head while bowling at a training session on Monday for his Big Bash League team the Sydney Sixers. Mennie, who made his Australia test debut against South Africa in November, was initially discharged and cleared of serious injury but was readmitted to hospital after further tests. 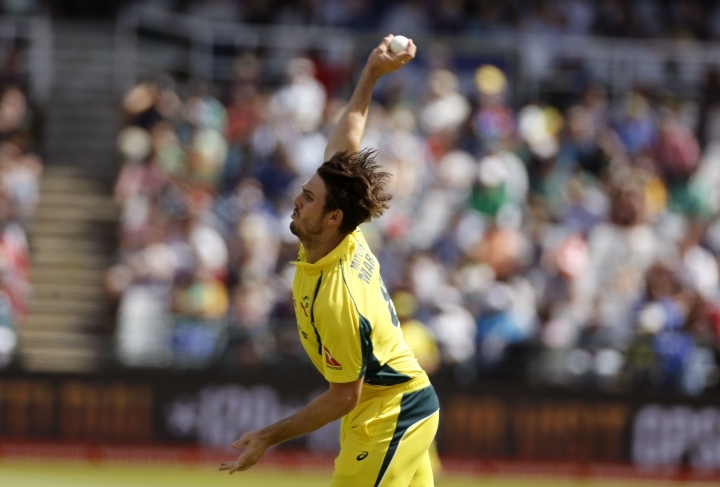 Cricket Australia chief medical officer Dr John Orchard said, "Joe was reviewed by a Cricket Australia doctor on Tuesday and had some scans performed that revealed a small fracture and associated minor brain bleed. Whilst this is a serious injury, Joe is feeling well. We believe that this is a stable injury and will not require surgery."